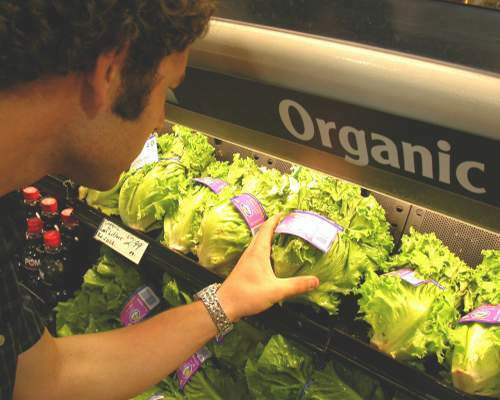 Is eating organic food, which costs more, really better for your health? The theory goes that eating organic foods will contain less or no pesticides. However organic foods are often genetically modified to create their own pesticides, thus killing any insects or pests that normally bother them. So instead of pesticides on the skin of the fruit or vegetable (which are usually washed off before selling), the pesticides will be INSIDE the plant itself. Which means you can't wash it off and you are eating it. So determine which was really more healthy Stanford University doctors dug through reams of research to find out — and concluded there’s little evidence that going organic is much healthier, citing only a few minor differences involving pesticides and antibiotics. Eating organic fruits and vegetables can lower exposure to pesticides, including for children, but it still has pesticides in it. The difference between organic and non-organic was negligible. The amount of pesticides measured from conventionally grown produce is within safety limits, the researchers reported in August 2012. The organic food didn't prove to be any more nutritious either. “I was absolutely surprised,” says Dr. Dena Bravata, a senior research affiliate at Stanford and long-time researcher of organic foods who began the analysis because so many of her patients asked if they should switch to organic food. So really the end result is that organic food isn't healthier. And the environmental concerns is really about whether the pesticides are killing insects. 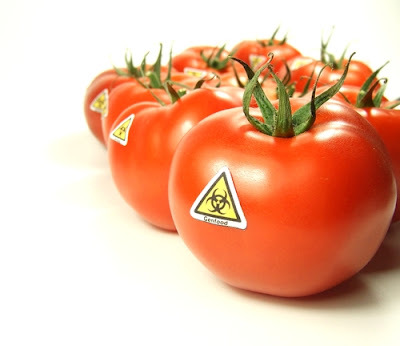 Which if the organic food has been genetically modified, then yes, its still killing insects. And since 90% of organic foods are GM and there is no labels identifying which are GM, chances are likely that if you bought organic food that it contains GM pesticides. So the last thing then is taste... In which case, if both organic and non-organic foods have pesticides either on the skin or inside the plant, isn't taste really just inside our head? Like a placebo telling us "This tastes better because its a Brand Name". Well, there is one notable difference. Bravata's team of researchers discovered a difference with respect to antibiotic-resistant germs, which are a public health concern because they are harder to treat and cause food poisoning. According to the research there was no difference in plant contamination, both organic and non-organic has the same contamination levels. The difference was solely in non-organic chicken and pork which had a 33% higher rate of having bacteria which is resistant to multiple antibiotics, the researchers reported in the journal Annals of Internal Medicine. The finding comes amid debate over feeding animals antibiotics, not because they’re sick but to fatten them up. Farmers say it’s necessary to meet demand. Public health advocates say it’s one contributor to the nation’s growing problem with increasingly hard-to-treat germs (which in turn is why we are getting increased problems with influenza epidemics in recent years). According to the Center for Science in the Public Interest there has been 24 outbreaks linked to multi-drug-resistant germs in food between 2000 and 2010. The American government has begun steps to curb the nonmedical use of antibiotics on farms, but it is difficult to track whether farmers are complying. 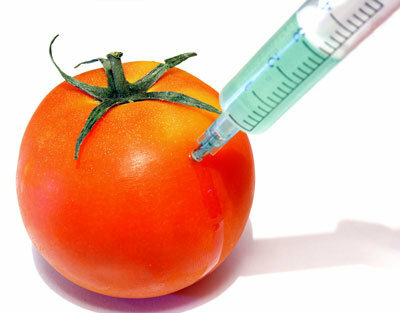 Genetically modified organic foods account for 4.2% of retail food sales, according to the U.S. Department of Agriculture. It certifies products as organic if they meet certain requirements including being produced without synthetic pesticides or fertilizers, or routine use of antibiotics or growth hormones. Consumers also pay a lot more for organic products and demand keeps rising: Organic foods accounted for $31.4 billion sales in 2011. Up dramatically from $3.6 billion in 1997. The Stanford team analyzed data on 237 of the most rigorously compared organic and conventional foods. The results from organic produce ultimately had 30% less pesticides. The difference between organic and non-organic is negligible. Part of the problem may be more complicated than we think. According to one study of peaches in Chile some fruits and vegetables can end up getting pesticide residue on them from the spraying of nearby fields. So even though the fruit you buy might be labelled organic, it still may have pesticide residue on their surface too, in addition to GM pesticides inside the plant. Whether this varies from country to country is debatable. Some people would argue that buying organic produce from the USA or Canada is safer, but that isn't a guarantee either because American/Canadian farmers often can afford higher grade (more deadly) pesticides and just because its grown in North America doesn't mean that there isn't another farm next door that is spraying pesticides willy-nilly. Some farms that aren’t certified organic have also begun selling antibiotic-free meat or hormone-free milk, to address specific consumer demands, notes Bravata. She even cites her own preference is to buy from local farmers in hopes of getting the ripest produce with the least handling. So is it worth it to spend twice the money on organic food just because it has 30% less pesticides? Well, let me put it another way. How far was that food shipped? Do you know what it was shipped in? If it is fresh produce from Africa or South America it was sent here by a cargo plane, which means it is using jetfuel (which contributes to global warming) just to get here. The jetfuel comes from petroleum, which means a lot of it comes from the Middle East. War torn countries like Iraq. What was that about not wanting to hurt the environment or living creatures? If people are serious about buying fresh produce that won't hurt their "karma" they need to be thinking LOCAL. It will still have pesticides in it, as we've already determined, but at least then the only environmental damage is a trip in a truck to the local market. Triathlons: Why or Why Not Train for Them? Question: I keep losing weight due to stress? Question: Left Leg lagging behind? Cardio? What is Cardio? Can it make me fattter?